Our Certified Hand Therapists (CHT) are more than specialists and therapists, they are real people who take pride in delivering real results. Our hand and upper extremity program provides services to both adults and children with conditions resulting from traumatic injury, disease, or cumulative trauma. Treatment consists of techniques geared toward increasing range of motion, strength, improving coordination, decreasing pain, stiffness and swelling. Patients are evaluated, goals are established and treatment is initiated. Treatments focus on maximizing functional use of the hand and upper extremity for improving activities of daily living and return to work. We are dedicated to providing the highest level of care to your patients. We are only able to do this because of the dedication, passion, and expertise of our clinicians. We trust that you too will see the benefit of referring your patients with hand, wrist, and elbow injuries to one of our specialists. With any specific questions about our hand therapy program please feel free to contact our Plymouth Center at 734-416-3900, our Livonia Center at 734-462-3240, our Novi Center at 248-615-0282, our Howell Center at 517-540-1060, our South Lyon Center at 248-573-7940, or our Garden City Center at 734-522-0065. 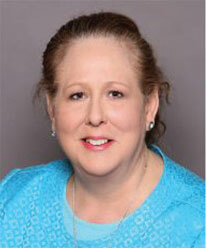 Janet Cronin is an Occupational Therapist and Certified Hand Therapist with over 25 years experience. She is a graduate of Cleveland State University in Ohio with a Bachelor of Science degree in Occupational Therapy. Janet likes to stay current with the latest treatment techniques and attends several continuing education courses. She has lectured at various conferences in rheumatoid hand disorders and stiff PIP joint complications. Janet specializes in upper extremity rehab and emphasizes patient education and participation in treatment to achieve goals. Janet has worked in multiple practice settings and closely with hand surgeons coordinating patient care. She has mentored Level I & II Occupational Therapy students and enjoys teaching students. She will be treating patients in out Howell and South Lyon Centers. Bryony Derose has over 15 years of experience in hand and upper extremity treatment. She graduated with honors from WMU in 2001 with a Bachelor of Science in Occupational Therapy. Bryony focused her career on specializing in hand and upper extremity treatment, earning the Certified Hand Therapist distinction in 2008. Bryony has experience in outpatient rehabilitation and hospital based services. Her interests include distal radius fractures, digital amputations, and patient education. Bryony maintains her professional expertise by frequently attending a variety of continuing education events. 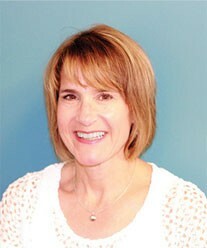 Katie Faoro has 30 plus years of experience working in the field of hands and upper extremity treatment. She is a graduate of EMU with a B.S. in Occupational Therapy. In addition, she has earned an associate’s degree in Gerontology. As well as a certified activities therapist. She has many years’ experience as a certified Hand Therapist. Katie frequently attends lectures, reads and networks with specialist to stay current in the field. She has received awards for her efforts in teaching. She works closely with her patients to provide accurate diagnosis and treatment information. She provides patients with innovative treatment methods and extensive home programs to insure the best treatment outcomes. 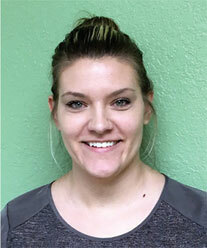 Caitlin Lukasik is a licensed Occupational Therapist with 5 years of outpatient hand therapy experience. She is a graduate of Western Michigan University with a Master’s of Science degree in Occupational Therapy. She is currently seeking to become a Certified Hand Therapist in the near future. Caitlin has mentored level 1 and 2 students and was previously a fieldwork coordinator. Caitlin continues to be updated on the latest treatment techniques by attending continuing education courses. 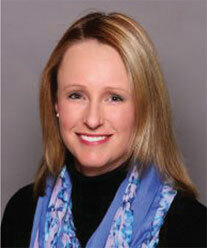 She has experience working side-by-side with hand surgeons coordinating patient care. Caitlin is a vital team member in our hand therapy program, she will be treating patients out of the Garden City and Novi offices.